GSK STEM Education: FREE Resources! 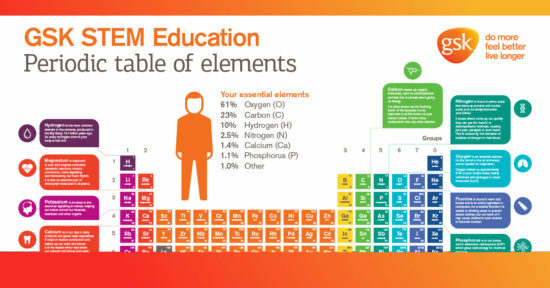 To support Key Stage 3/third and fourth level science teachers, GSK STEM Education has created a unique set of free educational resources to support learning in classrooms across the UK. Designed to inspire students and add real-world appeal to lessons, they include curriculum linked independent learning tasks, creative Lab activities and inspirational films, making them easily adaptable to fit in with lesson planning. 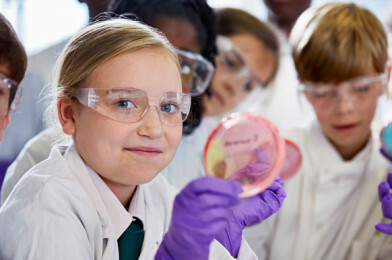 Teachers can access these resources by registering on the GSK STEM Education website. They will also receive a free, periodic table poster, updated with the new elements, for their classroom wall.